There’s a better way to deliver electrical engineering services. People and processes matter. A project starts long before the first conductors are run. Proper planning always pays dividends. Let us help with your capital project planning. From power system studies to equipment layout alternatives. The details matter and you only have one opportunity to get them right. Drawings, specifications, and cost estimates need to be coordinated, optimized and reviewed. The correct procurement method and the right contractor will make or break a project. Design-Build, Design-Bid-Build and Design-Assist each have their pros and cons. We’ll help you navigate your choices. The construction team is assembled and work begins. Stay on budget and schedule. We’ll help make sure it goes smoothly and according to the planning and design that preceded. Justis Engineering was founded on providing exceptional client satisfaction through technical excellence and innovation. It’s our core belief, and how we approach each project, every day. We collaborate through open and honest communication from day one until project closeout. We design according to your goals, combining our attention to detail with our extensive engineering experience, to find a solution to your problem. Every client is different and understanding the unique needs and subtle challenges that each project brings is important. We work together to tailor a project plan that meets expectations and goals, on time and on budget. The latest updates and news from Justis Engineering. We Moved to the Idea Foundry! We are specialists in electrical engineering. We believe that there’s a better way to deliver electrical engineering services and that people and processes make the difference. We pride ourselves on providing exceptional client satisfaction through technical excellence and innovation. 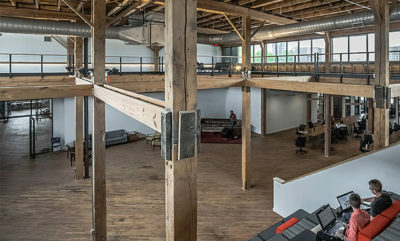 Columbus Idea Foundry in historic Franklinton. Stay in touch by signing up for our newsletter. Only emails that matter, and very few of them.